Things are heating up for the housing industry in the GTHA, and not just because of the plus-30 weather hanging over the region. It's been a busy late summer and early fall so far, as you'll see below, but among the issues that we think should be front and centre for the industry, recreational cannabis is without a doubt a scorcher. As recreational cannabis will be legalized on July 1, 2018, there are implications for workplaces across Ontario, and the construction industry is no exception. We're taking this legal change very seriously. 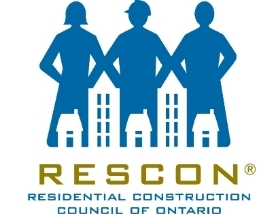 That's why we have organized a one-day forum in Vaughan on Oct. 2 with our ICI colleagues at the Ontario General Contractors Association. The Cannabis in Construction Symposium will feature three experts (two lawyers and a doctor) that will speak to a crowd of more than 100 construction executives and managers. And there's still a few spaces left. This event will touch on issues related to labour relations, health and safety, and employer drug policies through presentations and an interactive panel discussion. VP Andrew Pariser and - new to RESCON - government relations / external relations adviser Amina Dibe team up to write a blog on the event. Click here to read more. Other items in the newsletter include: Michael de Lint explains how our blog led Finnish e-permitting experts Evolta to visit Toronto and Vaughan recently; my column in the Toronto Sun on our collaborated report with Ryerson University on the slow process of e-permitting around the GTHA; Tim Hudak interviews RESCON on CFRB 1010 about housing market troubles for millennials; CondoBusiness magazine reports on the RESCON / U of T window wall vs. curtain wall report; and infrastructure advocates RCCAO release a new report by Michael Fenn that takes a deep dive on Infrastructure Ontario and the Long-Term Infrastructure Plan. Enjoy the newsletter and this last blast of post-summer heat! RESCON's de Lint sums up how our blog led to e-permitting experts from Finland, including COO Jarkko Turtiainen (shown), flying to Toronto to meet Queen's Park senior bureaucrats, building officials, builders and U of T academics. Click here for de Lint's article. 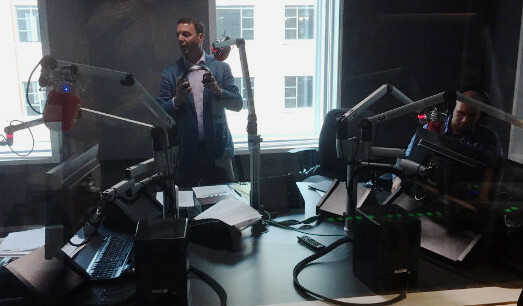 The former Progressive Conservative party leader interviews Lyall and RESCON engineer Paul De Berardis about the U of T and Ryerson reports, the Fair Housing Plan and millennials' struggle to get on the housing ladder. Click here for the radio interview. RESCON's collaborative study with the Building Tall Research Centre looks at the debate between window walls and curtain walls. Editor Michelle Ervin reports. 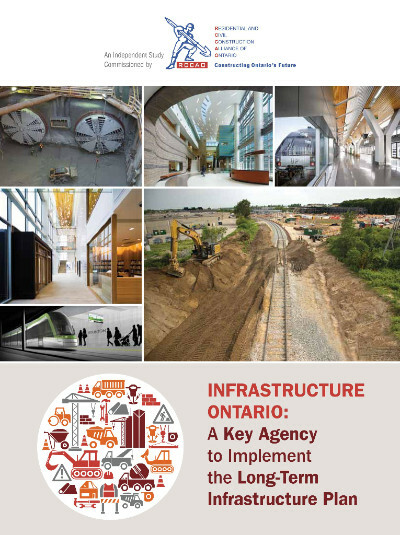 Former Ontario deputy minister Michael Fenn takes a deep dive on Infrastructure Ontario and how it could play a role in a potential Golden Age of infrastructure if the $200 billion earmarked by the federal and provincial governments is spent wisely.